The GEARS Competition Motor and Speed Controller Package offer a robust combination of power, performance and efficiency. 15-lb. competition robots using only a single AA (2000 mahr) 10 cell NiMH battery pack, average 10 minute run times. 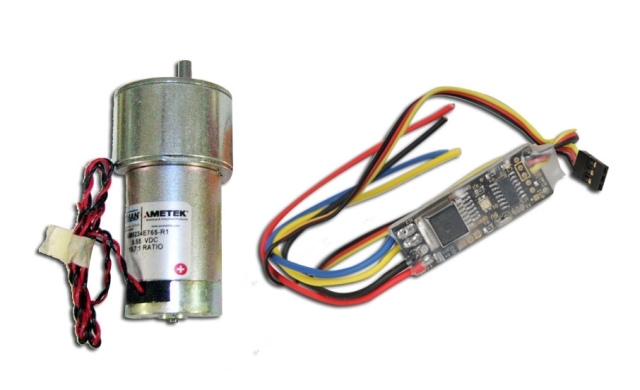 These highly efficient motors consume less current for a given power output, and thus require smaller battery packs compared to less expensive, amp hungry fixed magnet DC gear motor systems. Meet "Studley Do Right" Studley was the overall champion for The first annual "Shop-Bots" competition sponsored by the Wisconsin Precision Metalworking Council (WPMC). The event was held on October 9th, 2007 during the Wisconsin Machine Tool Show at the Exhibition Hall at State Fair Park in Milwaukee, Wi. The purpose of the event was to promote the BotsIQ program recently implemented by the WPMC and local Technical Colleges in the Milwaukee area. 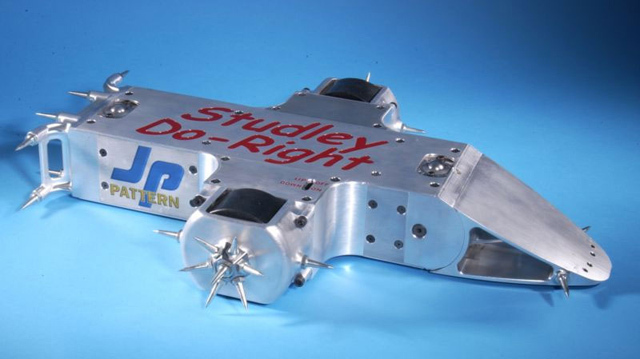 Studley used a pair of the GEARS-IDS competition motors and speed controllers. Congratulations to John Puhl and the folks from JP Pattern Inc, Milwaukee Wisconsin.